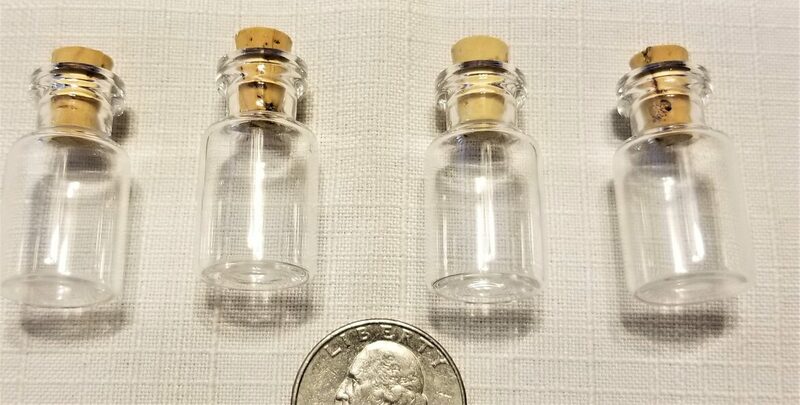 This is a set of four tiny bottles with cork stoppers. They are transparent, waiting for you to fill them with your own ideas. 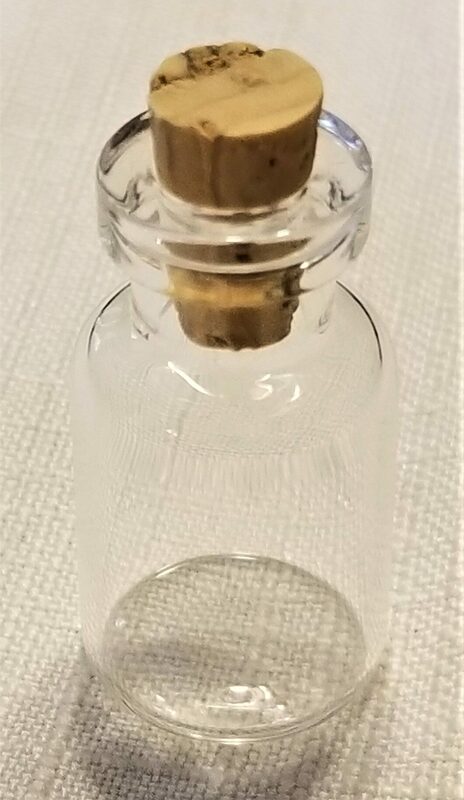 The bottle itself is 1 1/4 inches long and 5/8 inches wide. So cute! 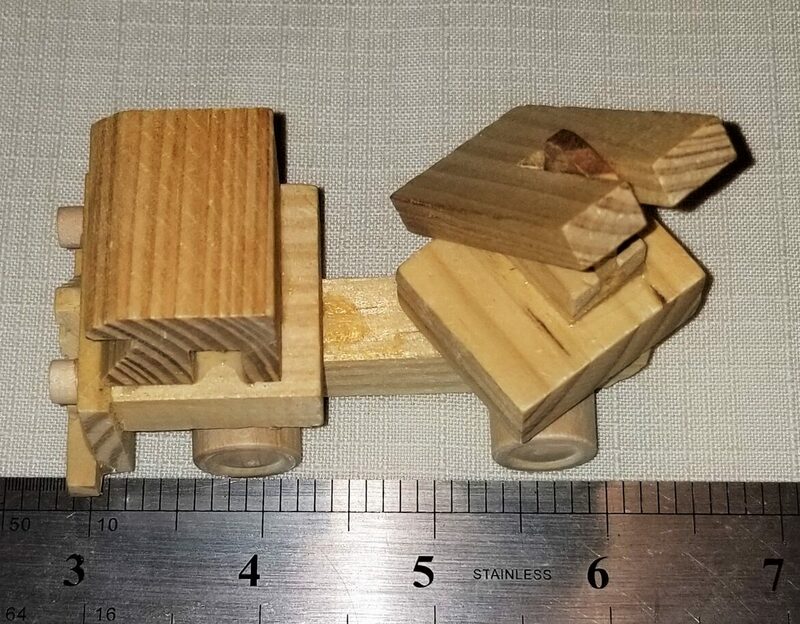 This is a pine wood toy truck. 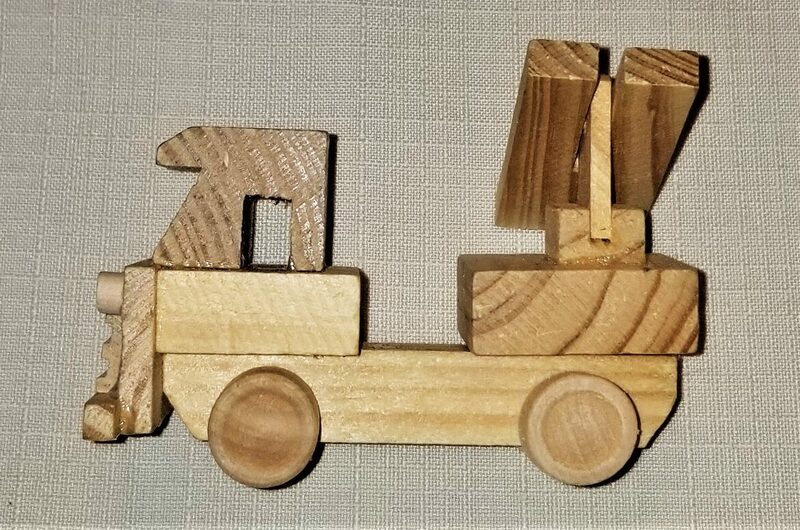 I am not sure what type of construction vehicle it is supposed to represent. 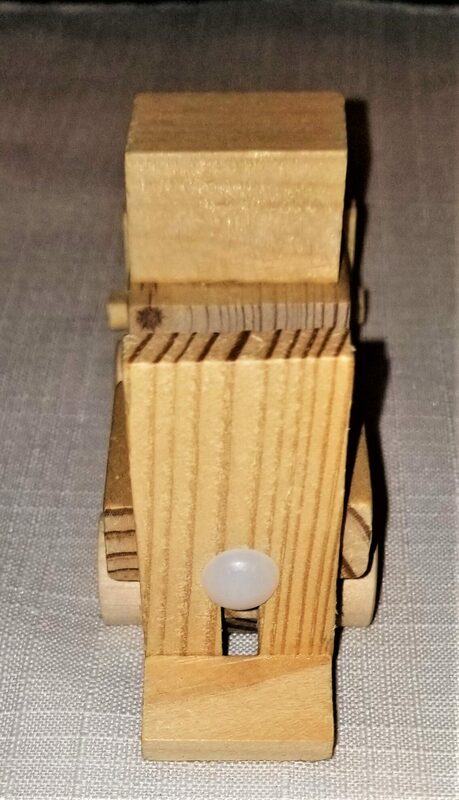 It is 3 1/2" in length x 2 1/2" in height. Unfinshed, but certainly could be painted however you'd like. This series is so cute. It could be used in wreath making, shadow boxes, etc., along with using it as a toy. I am not sure if they are hand-made or not. There wasn't a label attached. 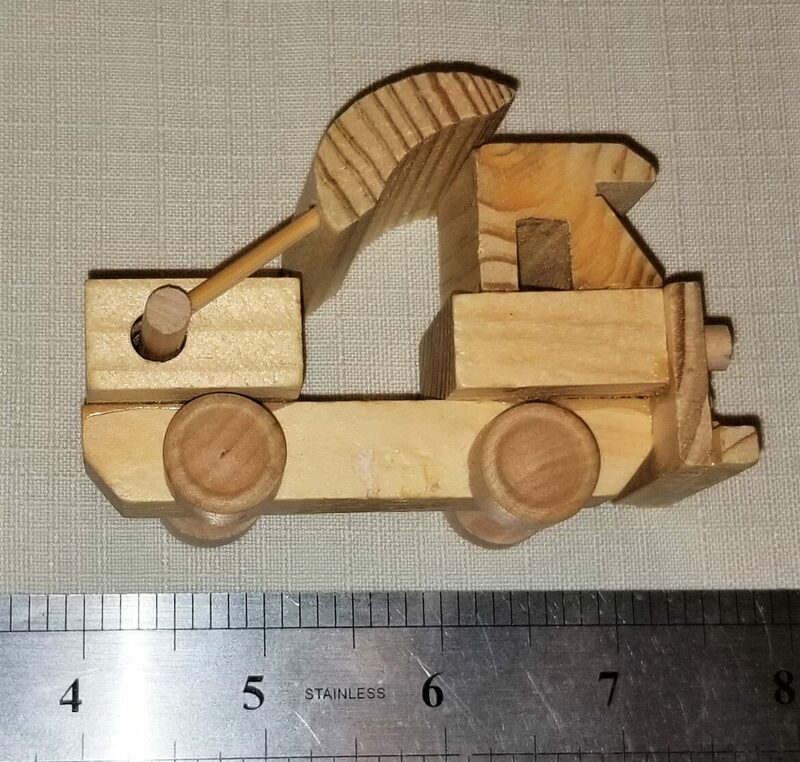 This is a pine wood toy truck. I am not sure what type of construction vehicle, my guess is a forklift that it is supposed to represent. 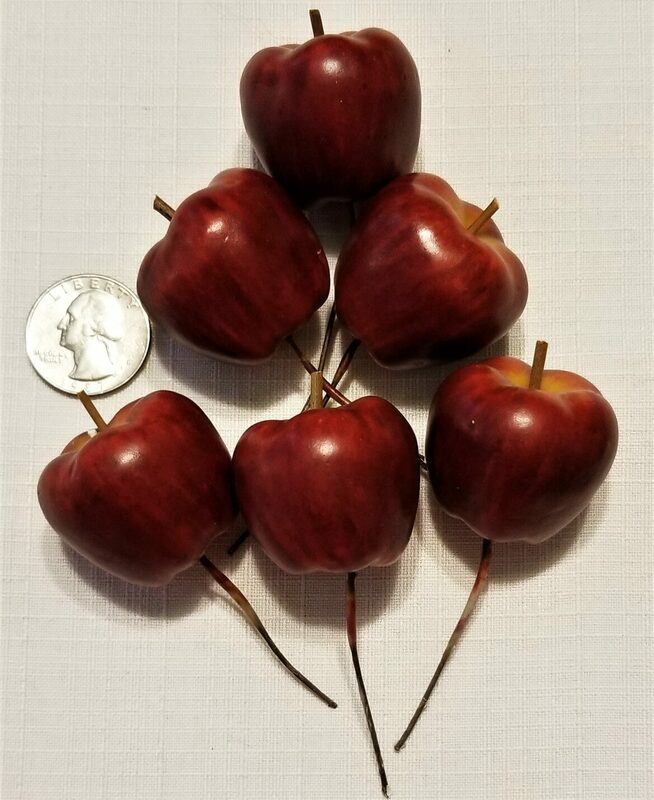 It is 3 1/2" in length x 2 1/2" in height. Unfinished, but certainly could be painted however you'd like or use as is. This series is so cute. It could be used in wreath making, shadow boxes, etc., along with using it as a toy. 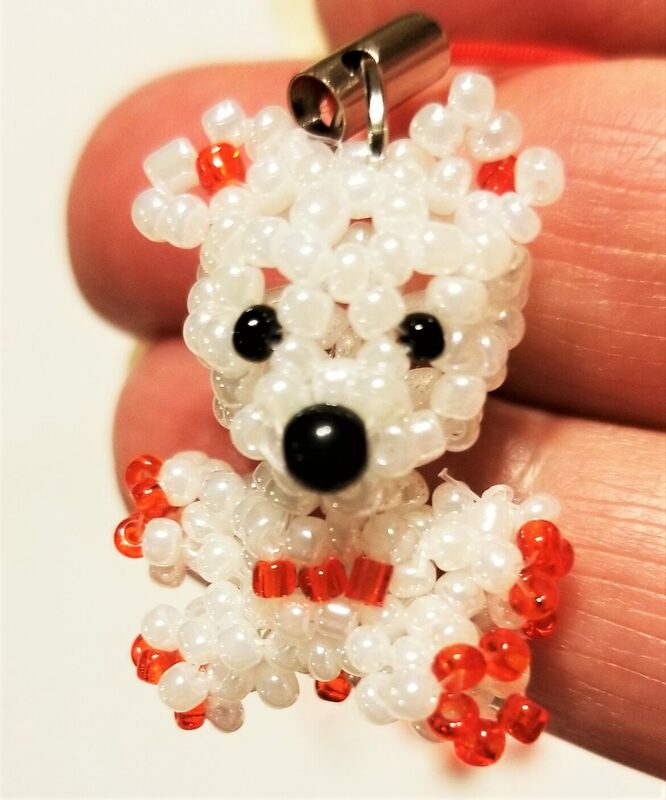 Five, cute, red and white beaded tiny bears with black nose and eyes. 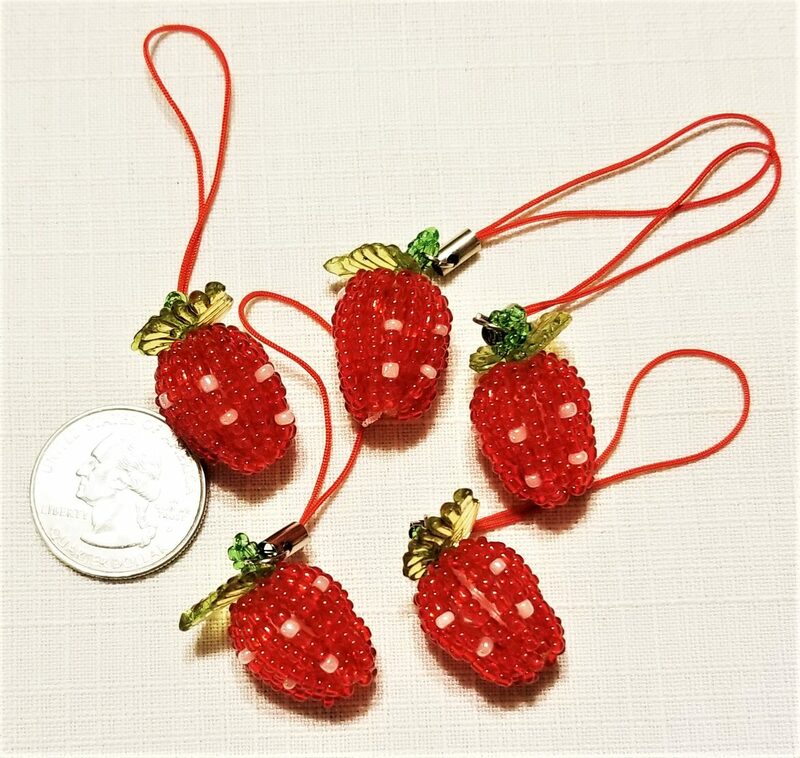 They are on swivel hangers and red loops for attaching to phones, backpacks, zipper pulls. They can also be used in many crafting projects without the hanger. I love these. 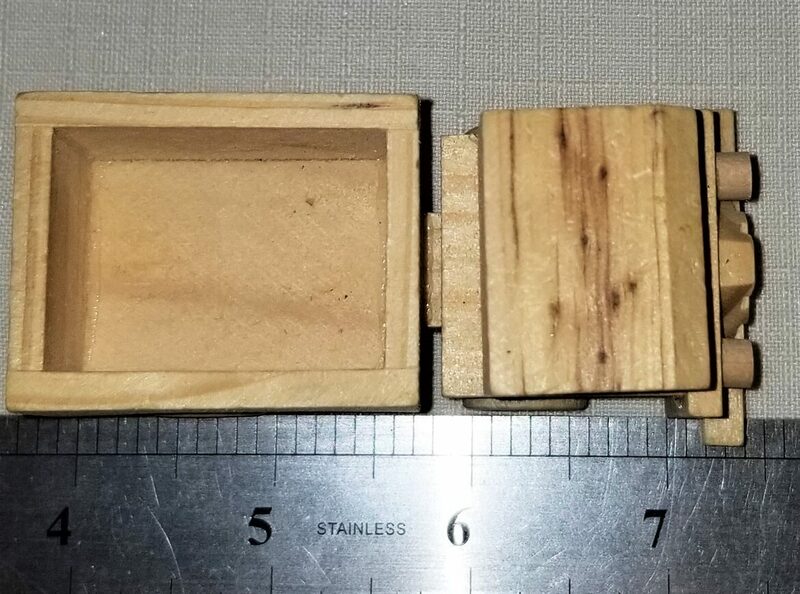 1 1/4 inch in length and 3/4 inch in width. 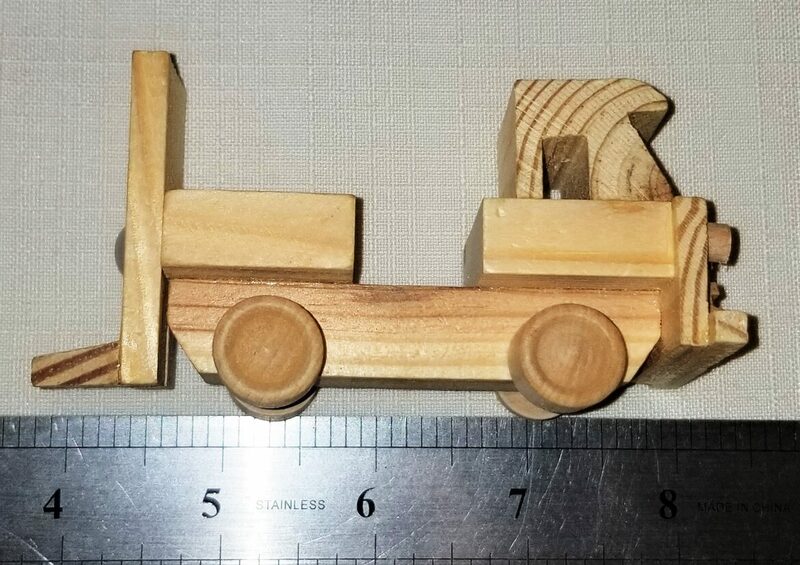 This is a pine wood toy truck. 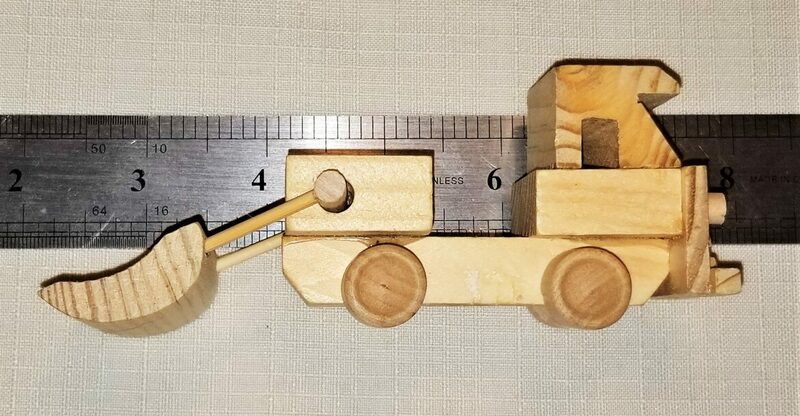 This is supposed to be a dump truck, however, the back does not lift up. 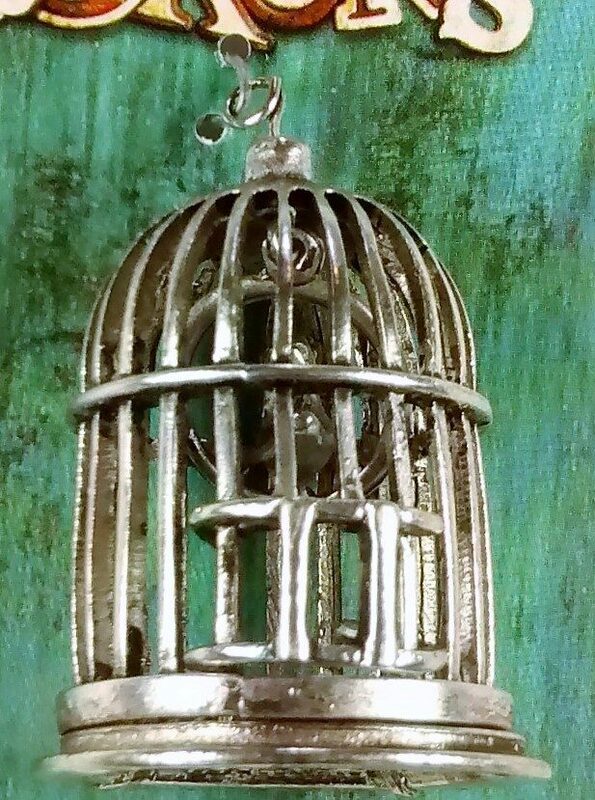 It is 3 1/2" in length x 2 1/2" in height. Unfinished, but certainly could be painted however you'd like or use as is. This series is so cute. It could be used in wreath making, shadow boxes, etc., along with using it as a toy. 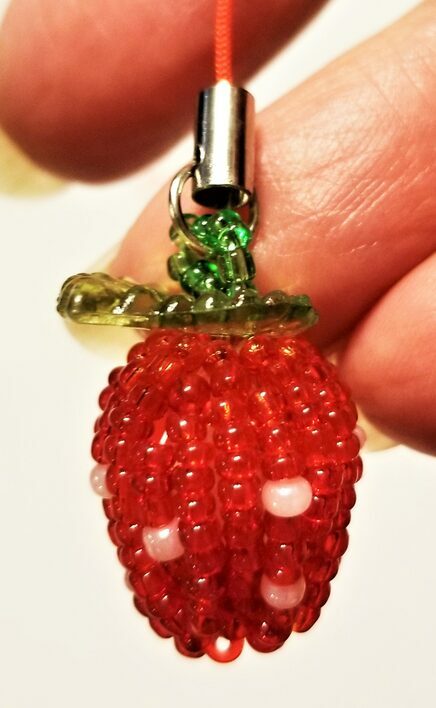 Five, cute, red and white beaded strawberries with a green leaf topper. 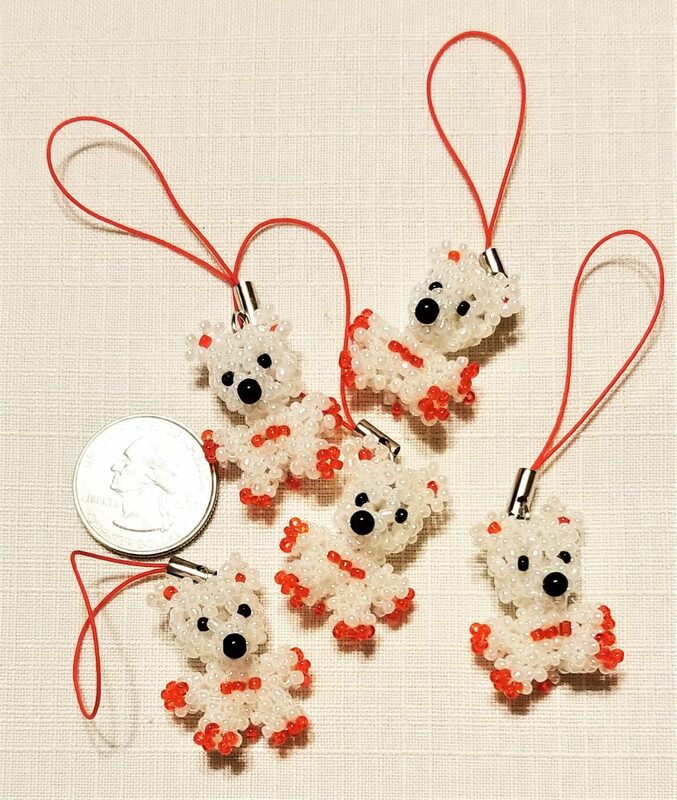 They are on swivel hangers and red loops for attaching to phones, backpacks, zipper pulls. They can also be used in many crafting projects without the hanger. I love these. 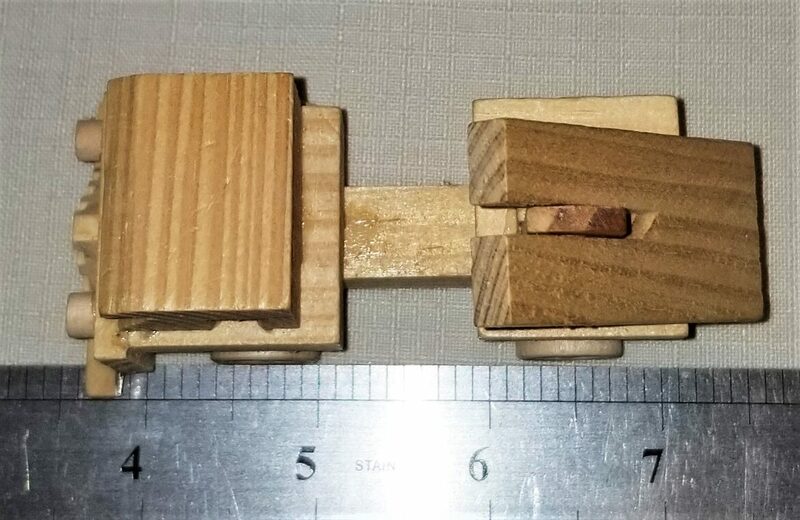 1 1/4 inch in length and 3/4 inch in width. 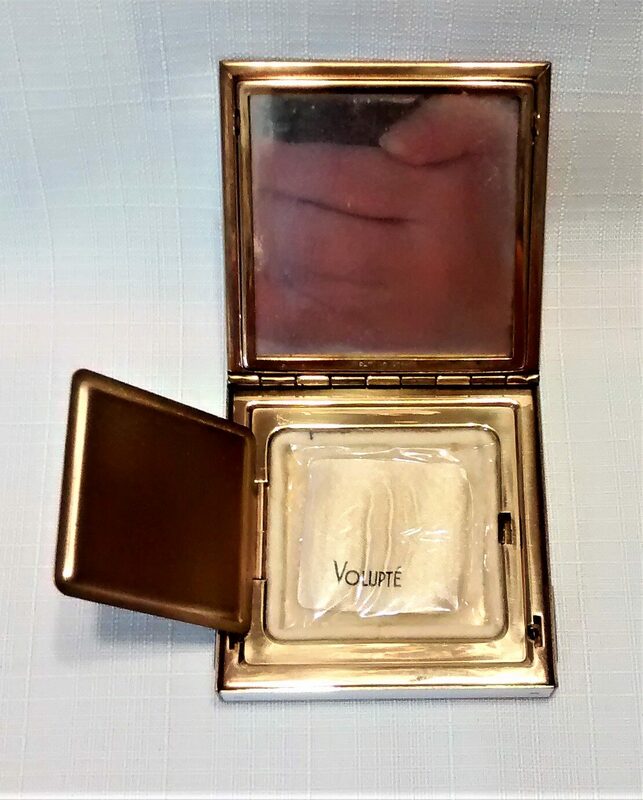 This is a vintage Volupte' compact with mirror and face power. It doesn't look as if it has ever been used. 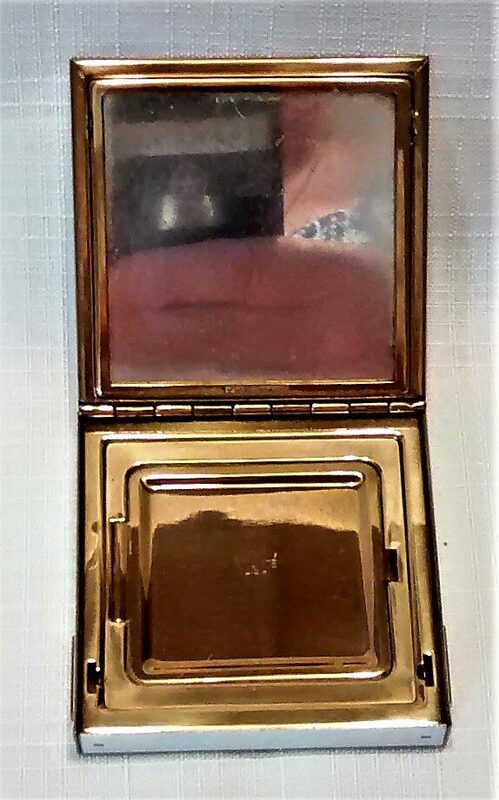 The mirror has some crazing from age and the solid black top and bottom also has a bit of wear showing. 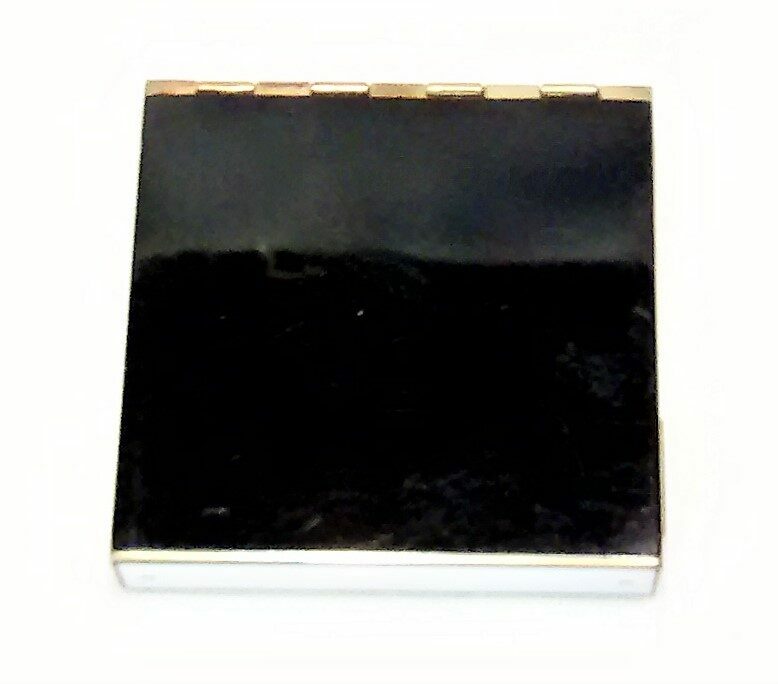 The edges of the compact are an off-white color. @ 1/2 inches in height and width. Such a pretty reminder of the glamorous past. 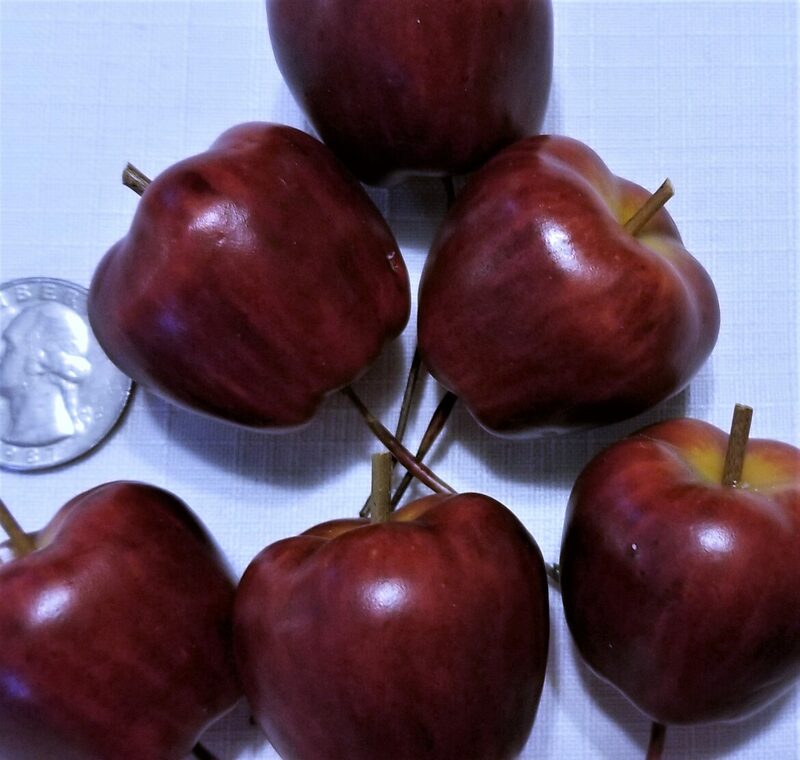 These are the cutest, realistic looking, Delicious Apples on picks for attachment (can be removed). They are approx. 1 1/4 in height and width. A great craft addition! Made of foam so they don't add additional weight to your project. 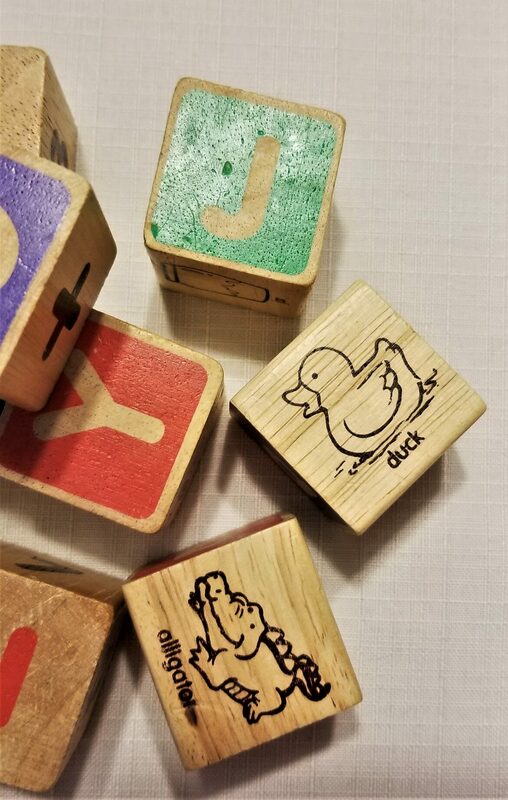 These are colorful, wood blocks. I am including them in crafting because they would be perfect for shadow boxes, wreaths, etc.. 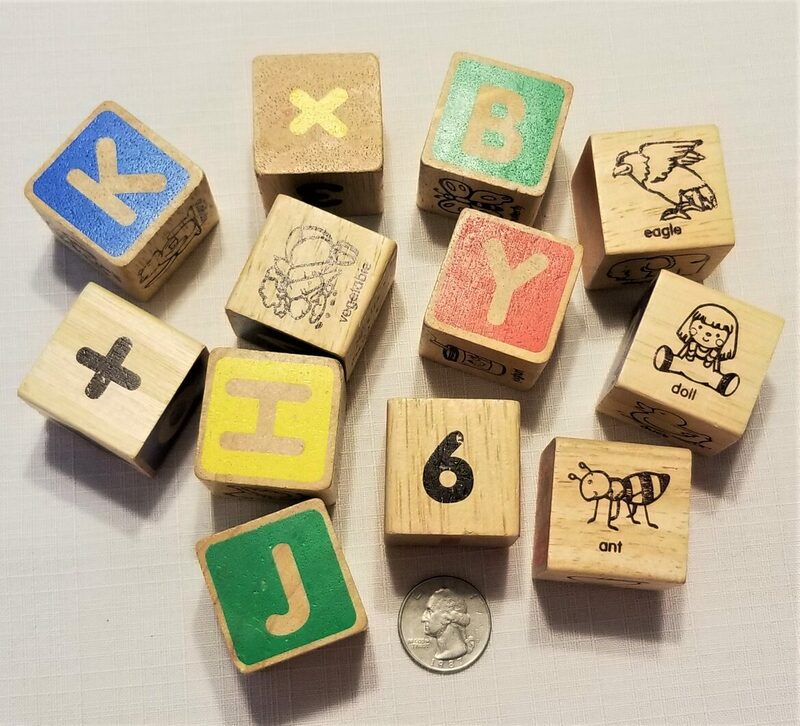 However, they can also be used for their original purpose- to play, teach, and build with. 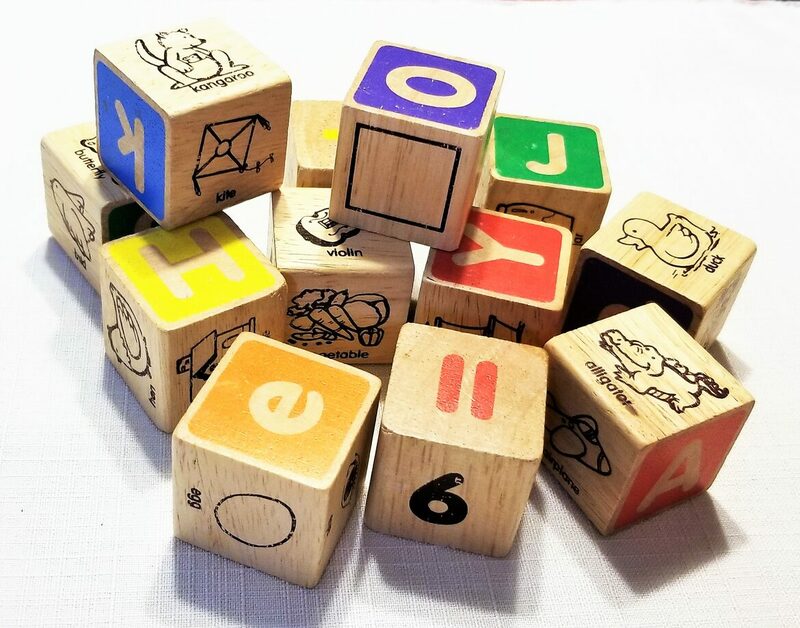 There are 12 in a pack-it is an assortment and no guarantee for a complete alphabet set or numbers. 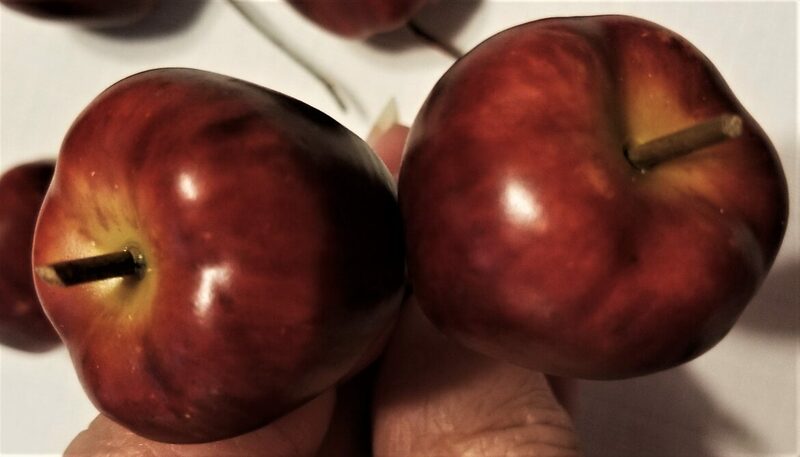 These are picked at random. 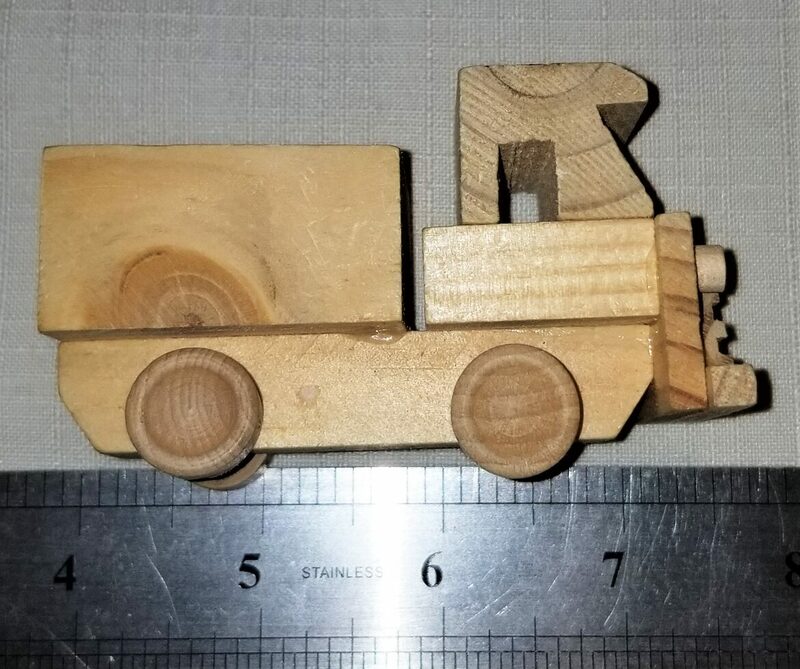 This is a pine wood toy truck. I am not sure what type of construction vehicle it is supposed to represent-maybe a back hoe? 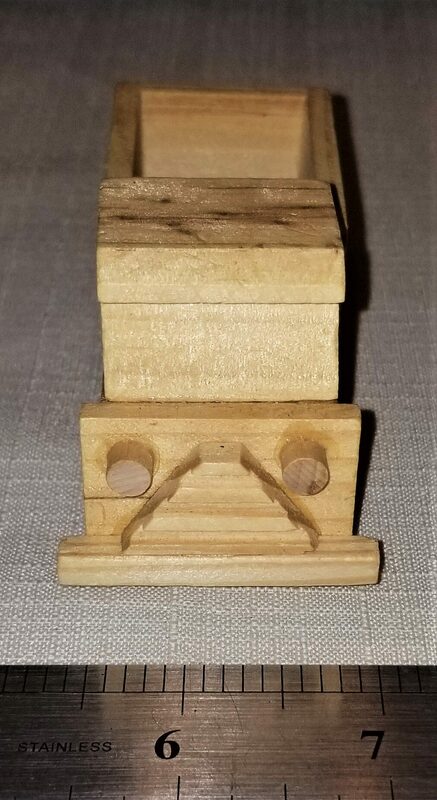 It is 3 1/2" in length x 2 1/2" in height. Unfinished, but certainly could be painted however you'd like. This series is so cute. It could be used in wreath making, shadow boxes, etc., along with using it as a toy. 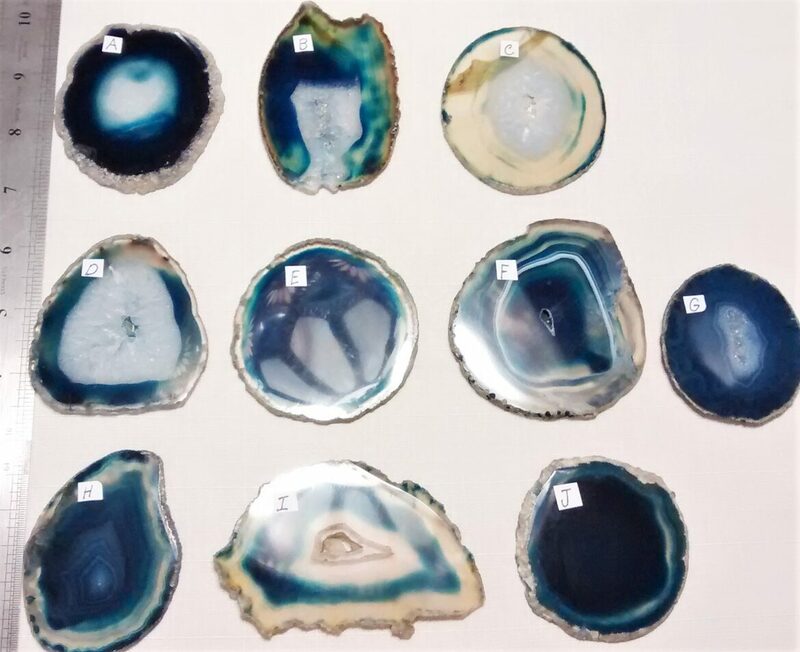 These are blue, agate and quartz, geode slices. 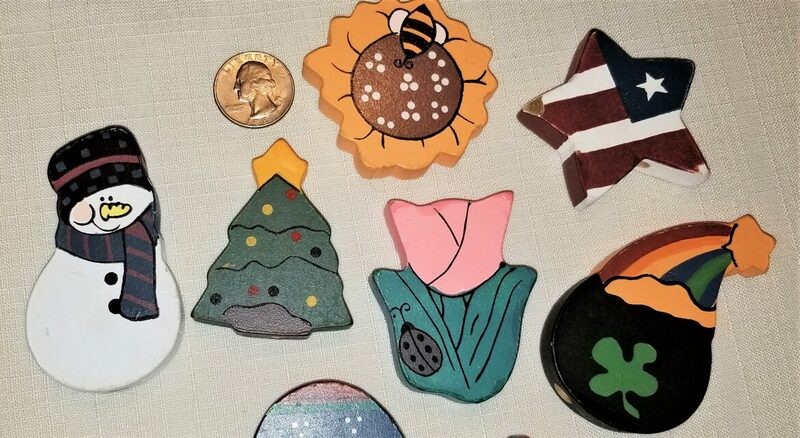 There are 10 different shapes and sizes and each is $10.00. Most are in the 3 to 4" range. I have assigned each of them a letter. Please let me know which one(s) you would like. 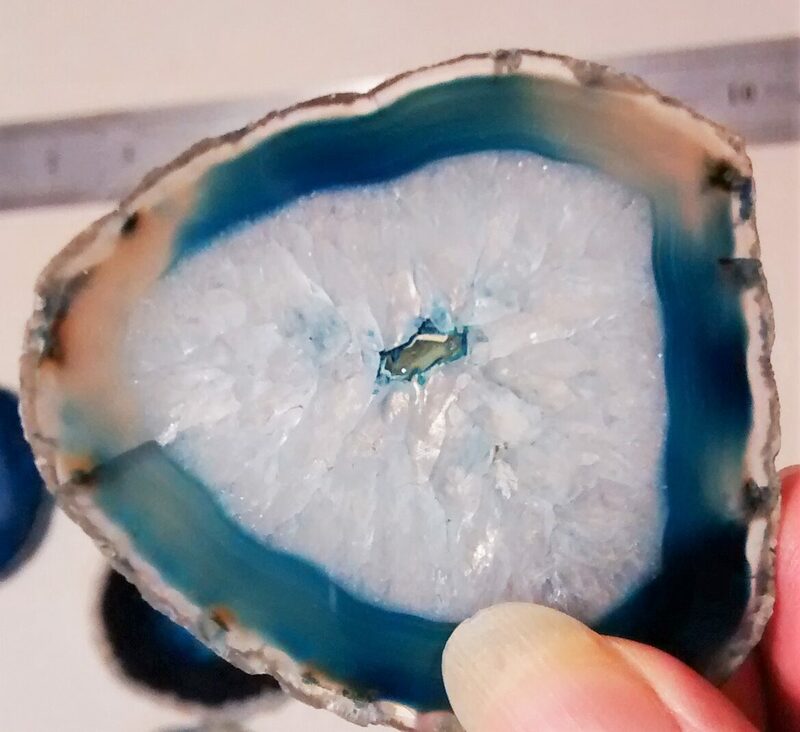 I would like to have added a close up of each one, but I am limited in the number of pictures for listing. 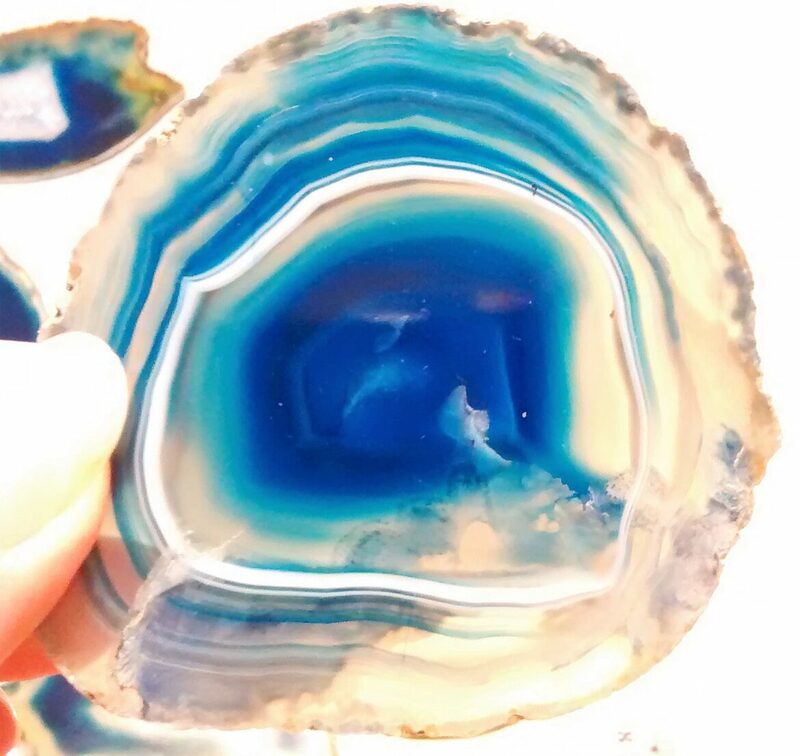 These can be used as coasters, a focal in jewelry, or an accent in other art work. 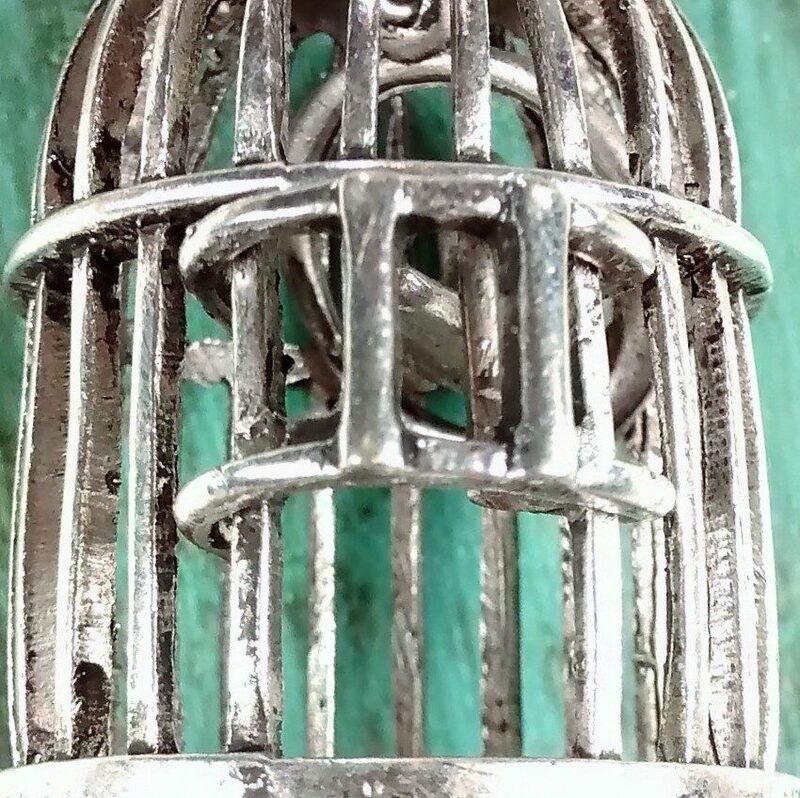 These are the cutest little silver bird cages. 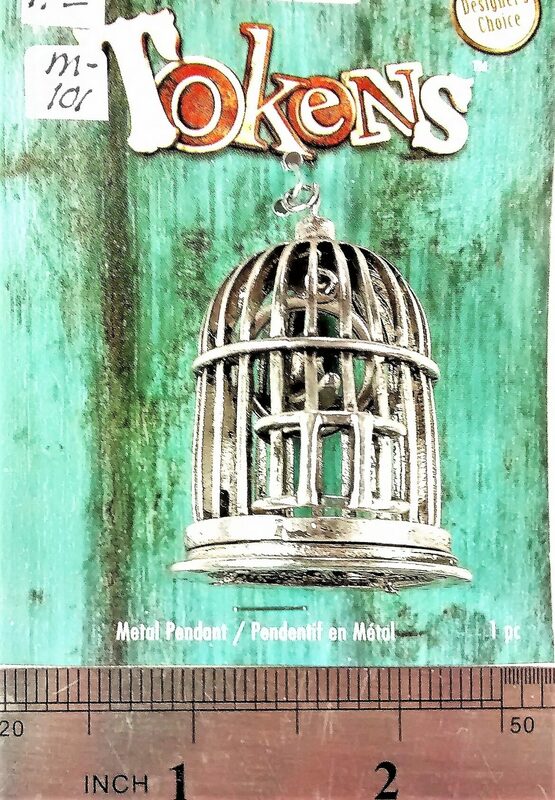 They have a swinging bird in the center and the door moves up and down. Sweet! Very reasonably priced. Could be used as an accent on wreaths, hangings, 3-D art, etc. 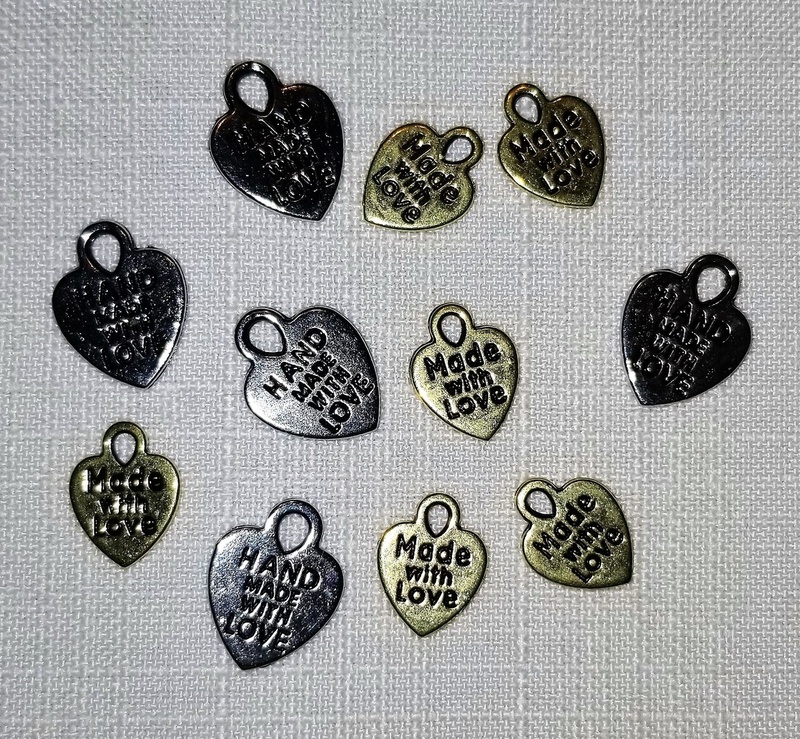 These are cute, little, metal heart charms that are stamped with "handmade with love" and made with love". 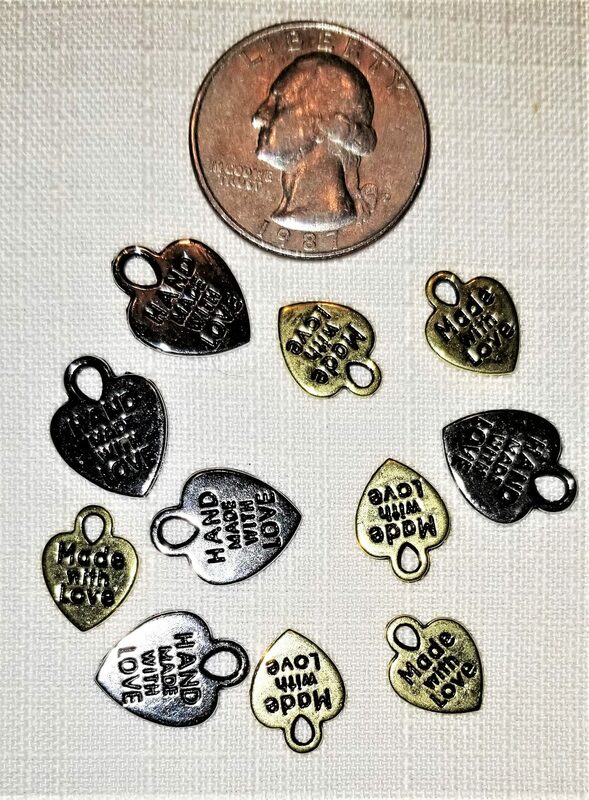 The silver hearts are bigger than the gold heart charms. Approximately, 10 in bag. 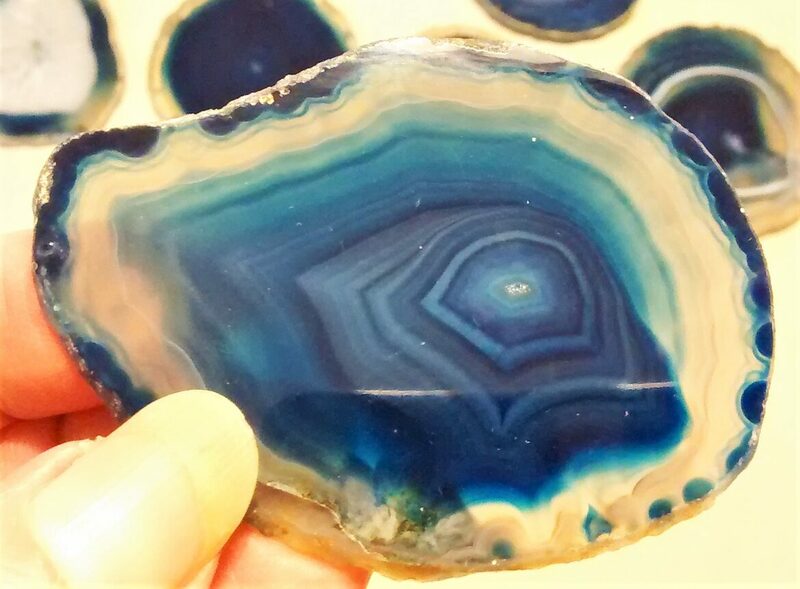 Perfect for that bracelet or necklace that was made by you. 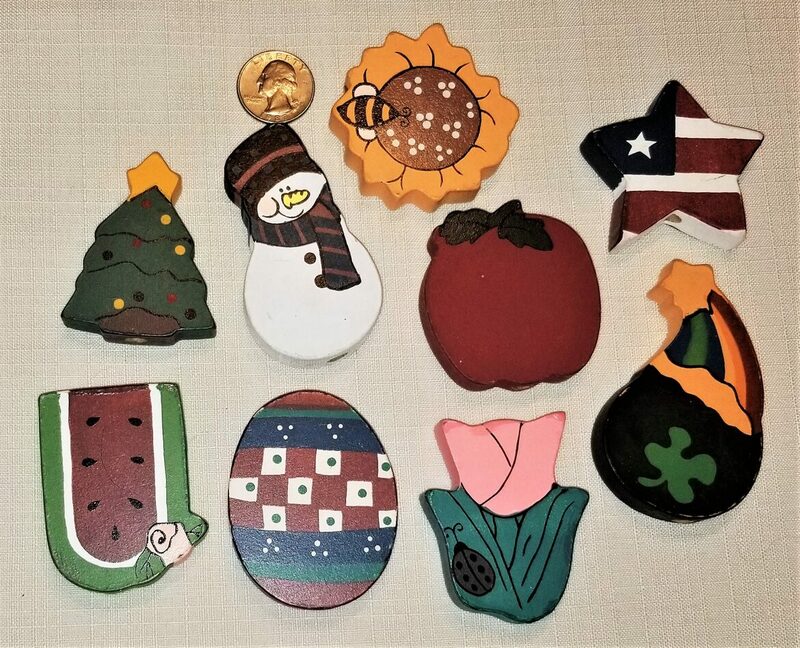 Nine wood, assorted holiday embellishments. Would look great used by themselves in a craft or all together as an all occasion wreath or wall hanging. They have a drilled hole in the bottom for attachment, if needed. Both sides are painted. 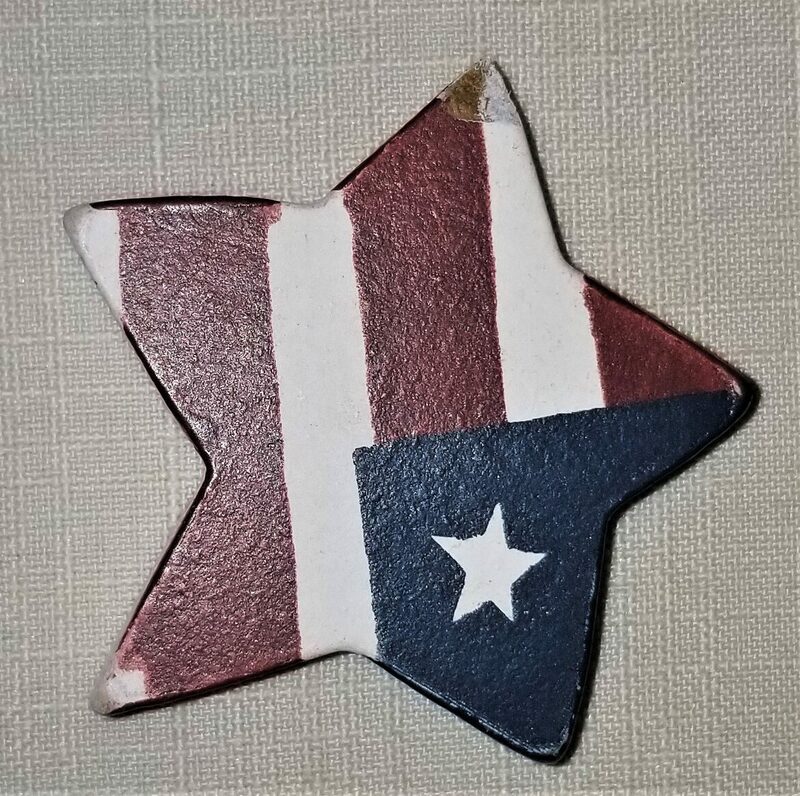 There is a partial chip out of the point in the patriotic star. Please look at the pictures to see what holidays, seasons are represented. Approx. 2 1/4"- 2 3/4" in height and 1 3/4"- 2 1/4" in width.